​﻿Published by Sareth Ney on April 28, 2016 at 11:47 p.m.
​Updated on May 6, 2016 at 2:00 p.m.
Kennedy was the youngest of six children and was raised in Darby, Penn. After working for a national chain restaurant, he moved out to Hollywood, Calif. to become an extra on motion pictures. Then, he ventured off into the world of comedy. While performing comedy, he was cast in his first major film and it was “Romeo & Juliet”. After appearing in “Romeo & Juliet”, Kennedy’s film career continued to take off. He co-starred in films including: “Scream”, “Scream 2”, “Bowfinger”, “As Good As It Gets”, “Three Kings” and “Enemy of the State”. Two years after the turn of the century, Kennedy starred in his own sketch comedy show called “The Jamie Kennedy Experience” and it became the WB network’s highest ranking show. In 2003, he would go onto star in another film called “Malibu’s Most Wanted”. Two years later, he would star in “Son Of The Mask”. 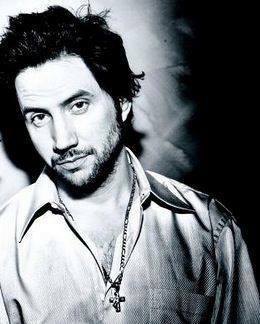 He would return to television in 2006 and filmed his comedy special for Comedy Central called “Unwashed”. In 2008, Kennedy created and produced the documentary known as “Heckler”. Then, he lent his voice for “The Cleveland Show” on Fox. He would go onto be cast as Eli James, a psychology professor in CBS’ “Ghost Whisperer”. Three years later—he would host the CW Network’s show, “Oh, Sit”. Since 2011, Kennedy starred in over a dozen films including: “Lost and Found in Armenia”, “The Hungover Games”, “Buddy Hutchins”, “4Closed” and a new installment for the “Tremors” series. He also plays a boxing manager in the DirecTV network’s series, “Kingdom”. He has an occurring role on the NBC show, “Heartbreaker”. “Wannabe” was a book he wrote and he has a comedy album, “Blowin’ Up”. To visit Kennedy’s website, please click here. To like him on Facebook, please click here. To follow him on Instagram, please click here. To follow him on Tumblr, please click here. To follow him on Twitter, please click here. To follow him on Vine, please click here. To subscribe to their channel on YouTube, please click here. May 06 - Goodnights Comedy Club, Raleigh, N.C.
May 07 - Goodnights Comedy Club, Raleigh, N.C.
May 19 - The Comedy Zone, Jacksonville, Fla.
May 20 - The Comedy Zone, Jacksonville, Fla.
May 21 - The Comedy Zone, Jacksonville, Fla.
Aug. 18 - Side Splitters Comedy Club, Tampa, Fla.
Aug. 19 - Side Splitters Comedy Club, Tampa, Fla.
Aug. 20 - Side Splitters Comedy Club, Tampa, Fla.